This month, it's Keith Martin ! Keith Martin is the chairman of the "International Mounted-Games Association", an association to manage the Mounted-Games in the world. To begin, can you introduce yourself and tell us your career up to there ? 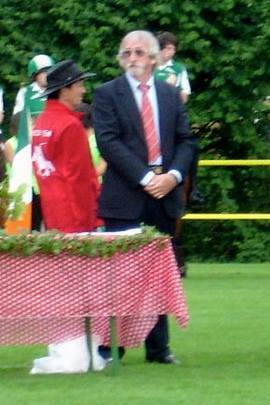 I first discovered Mounted Games in the late 1980s in Luxembourg where I was an official of the European Commission. My wife and I were part of the set up of the Mounted Games Association Luxembourg (MGAL) which first sent a team to the World Championship in Northern Ireland in 1989. Since then I have been to almost every World Championship, I think I have only missed one or two. 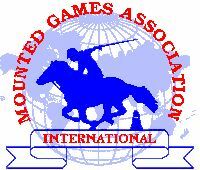 Before 2003 the International Mounted Games Association (IMGA) did not exist with the structure it has today. It was a loose association of those countries involved in the sport, but there was no formal organisation. It was in 2003 that a constitution was written and agreed, procedures were introduced, and IMGA was registered as the world governing body for Mounted Games. At that time the first elections were held for the officials of the new IMGA. I did not have an equestrian background, which may seem a little strange, but I was an experienced organiser and manager, and I was elected as Chairman. IMGA officials serve a two-year term, and I have been re-elected several times since then. Five years ago when I retired from full employment, we moved to France and our ties with MGAL have gradually disappeared. I now have no direct link to any particular national team and so I am able to remain completely impartial. I have seen many changes in the sport, both in the speed of the games and the level of skill of the riders, and also in the professionalism of the national and international organisations which control Mounted Games. From my point of view, one of the most significant changes is that ex-riders are more and more moving into positions of responsibility as trainers and officials. This gives me confidence that our sport has a good future. What the exact purposes of the IMGA ? What is your work from day to day within this association ? The objective of the Association is to encourage friendship and cooperation between people of different nations through the sport of Mounted Games. 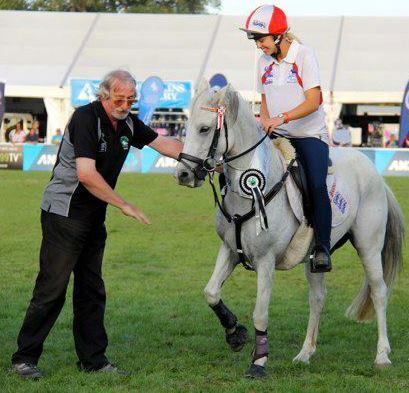 The Association aims to provide a central controlling and co-ordinating function for Mounted Games at a worldwide level. I think it’s important to understand that the authority of IMGA as the world governing body for the sport is limited to actions which cut across national boundaries and may be applied uniformly at an international level. While we all hope and expect that each member nation will follow the same rules and procedures within their own national organisations, this can only be achieved through willing cooperation. I try to be present at most major international championships but this is not always possible. When I am there I usually have the honour to present ribbons, medals, and trophies, and that is certainly the best part of the job ! I enjoy it very much. But mostly my work is done quietly at my desk at home in the Gers (32) by SMS, by e-mail, and through the IMGA website which I first set up more than ten years ago. As an indication of the volume of work I can tell you that my e-mail folders for each year of IMGA business usually contain around 2.500 messages. That’s something like 25.000 messages since 2003. What are the countries in which the IMGA would like to become etablished ? We currently have 20 members, with Spain on the point of becoming number 21. They are geographically spread over 4 continents and so I would certainly like to be able to welcome new members on the other continents. From South America, from Asia, and more from Africa. This would extend our world coverage and make the sport better known globally. How do you see the development of Mounted-Games in a more or less close future ? Are theses evolutions possible easily ? The most important development in the near future will be the certification of referees. This year we have already organised the first training weekend for referees which concluded with a test, both theoretical and practical, which will lead to certification. As we have more and more certified referees, we will be able to train even more, and this will lead to a general improvement in the standard of refereeing at all levels of competition. It has been difficult to get started with this initiative, but the appointment of Peter Dale to the official position of Chief Referee has been an important step. After referees, we foresee a similar approach to the training and qualification of assistant referees. In addition to this there is a steady year-by-year improvement in the Rule Book. Very many errors, anomalies, and contradictions have already been corrected or removed, and the Rules Committee has almost completed a full review and revision of the specification of equipment. Mounted-Games, an Olympic sport ? This is a very complex matter, and anyone who has ever looked seriously at the requirements for a sport to receive Olympic status will understand just how complex. Olympic sport is big business and Mounted Games in its present form is not able to compete with other well-organised and well-financed sports for the few places available. For example, Golf has been a major world sport for a long time with millions (perhaps billions) of dollars involved in the organisation of competitions and in the provision of prize money. But golf will be included in the XXXI Olympiad in Rio de Janeiro in 2016 for the first time since 1904. If Mounted Games has to reach the status of golf as a world sport before being accepted for the Olympic Games, then I fear we may have to wait a long time ! BUT, … the first steps are being taken. It is important that Mounted Games gains wider acceptance in the equestrian world and is seen as being as important as Dressage, Show Jumping, and so on. This requires affiliation with the Fédération Equestre Internationale and IMGA is currently in discussion with this organisation and negotiations are progressing satisfactorily. Now, what are the opportunities and threats of this sport ? One of the important things for the growth of Mounted Games is to encourage the general public to attend our competitions. 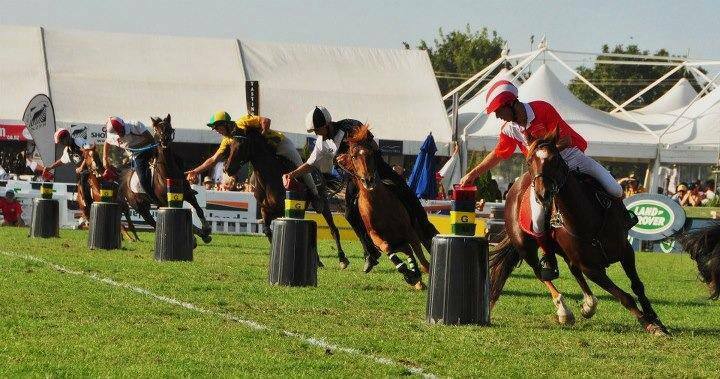 It is very difficult to explain Mounted Games to anyone who knows nothing about the games but if you can persuade them to watch a competition then usually they are immediately enthusiastic and want to see more. Unfortunately, even at our major championships, it is quite unusual for there to be any spectators who are not already involved. Outsiders either do not know that the competition is taking place, or they have no way of knowing exactly what it is all about. Perhaps the most successful advertising I have seen was in Switzerland for the World Team Championship in 2010 when the organisers had arranged for the traffic control signals on the main motorway serving Geneva to tell everyone to turn off at the next exit for the Mounted Games World Championship. Unfortunately, this is unusual, and very often no one outside of the Mounted Games community even knows that there is a competition taking place. TV coverage is difficult because there is no single focal point for the cameras to follow. In football the camera simply follows the ball, but for Mounted Games there can be interesting things happening at opposite end of the arena at the same time. On a small screen this can be very confusing. This year, the "Nocturne International" had the honnor to welcome you on its showground on June 15th-16th. This friendly event has the reputation to compete with the big European competitions. What are your impressions after ? I had heard such good reports of this event that I wanted to visit this year, and when I did so I quickly discovered that those reports had been correct. There was a very friendly atmosphere, especially during the evening session, and the standard of riding was very high. Projection of the results onto the side of a building after dark was especially appreciated. It was particularly good to see so many riders and ex-riders involved in the organisation of the event. They are the future of Mounted Games, and I think that when people like me aren’t around any longer, the sport will be in good hands. The Nocturne will be marked on my calendar again for next year. We thank you for having answered our questions, and for you implication in this wonderful sport. See you very soon on the french arenas !